share with you one of my biggest fears. by going to Slimming World. 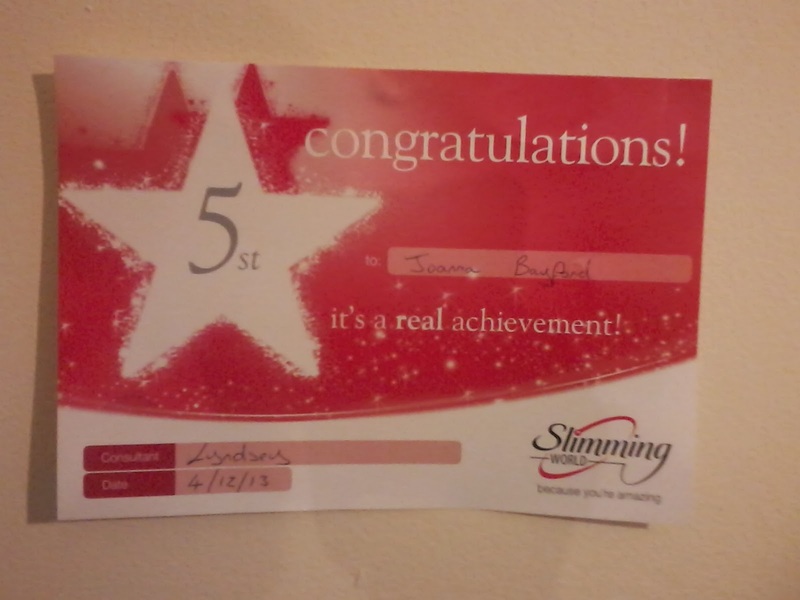 I have never been to any other slimming club before so it was all very new to me. Last week I got this award! My total Weight- loss is 5 stone 2 lb's to date. that I have managed to loose this much within under a year! back in September so I am 2 stone and 6lb lighter now than in these photo's. on the wii without getting out of breath. my favourites being pears, strawberries, banana's and mango. I still have moments when out shopping and I end up looking at the bigger sizes. bad at drinking water but now I try and drink at least a litre a day. get over how much weight I have lost and how different I look. my weight-loss is starting to slow down. I think my body has got the stage where it's got use to it! I'm not too far away from target now and hope to get their by April . But I now have a fear I am scared of gaining weight! I don't want to go back to the girl I was back when I was a size 24. I was unhappy and it was bad for my health. a day either! If I can't I start feeling a little panicky which isn't good for me at all. loss week in week out with only a few gains or maintains here or there. to keep within the target range. and end up scoffing myself silly and then be back at square one. Joanna, you look amazing and are such an inspiration. After Christmas I'm going to really pull my finger out and loose some weight too. Well done you, Slimming World is fantastic, not only do you eat well on it, you meet new friends. I loved it. Wow you have done so well, congratulations!